People around the world have been watching the grieving whale and her family, members of the critically endangered southern resident orcas. 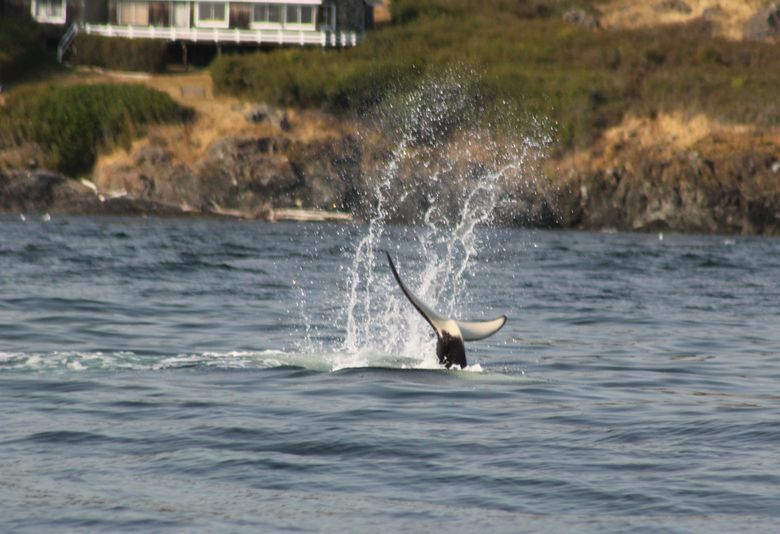 UPDATE: The orca whale J35 was seen Sunday morning still carrying her dead calf. 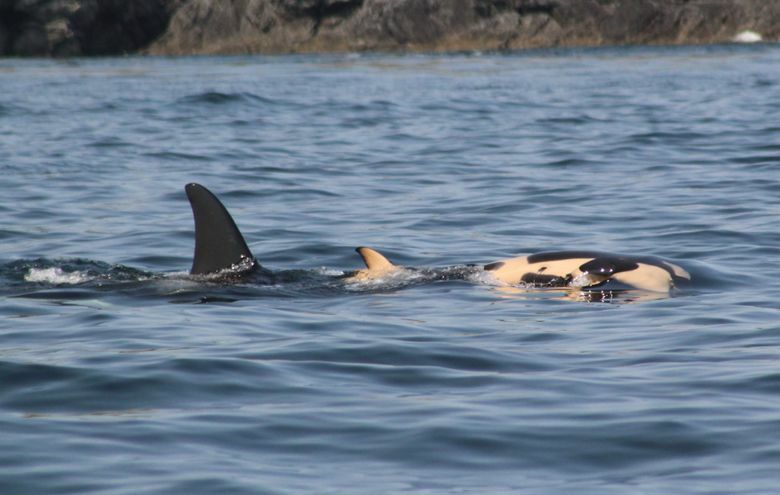 “We had this sense of relief to see J35 and know she’s still alive and around, but also this wave of sorrow that she is still carrying the calf,” wrote Taylor Shedd of Soundwatch in an email. 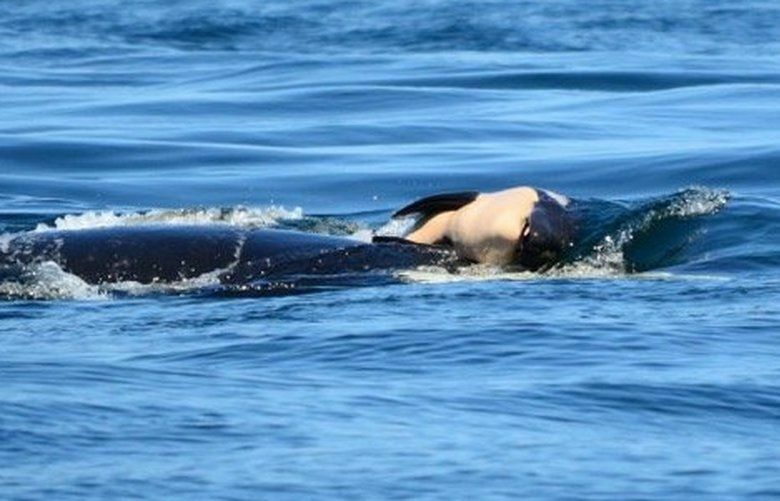 A mourning orca whale continued carrying her dead calf for a fifth straight day Saturday. J35, or Tahlequah, was seen in the early evening in Canadian waters. “It is just unbelievable, she is still carrying her calf on her head, pushing it through the water. Her entire family is also staying close by with her,” said Taylor Shedd, of Soundwatch, who has been keeping daylight vigils with the whale all week. The sad spectacle began Tuesday when Tahlequah gave birth to a calf that lived for only a half-hour. 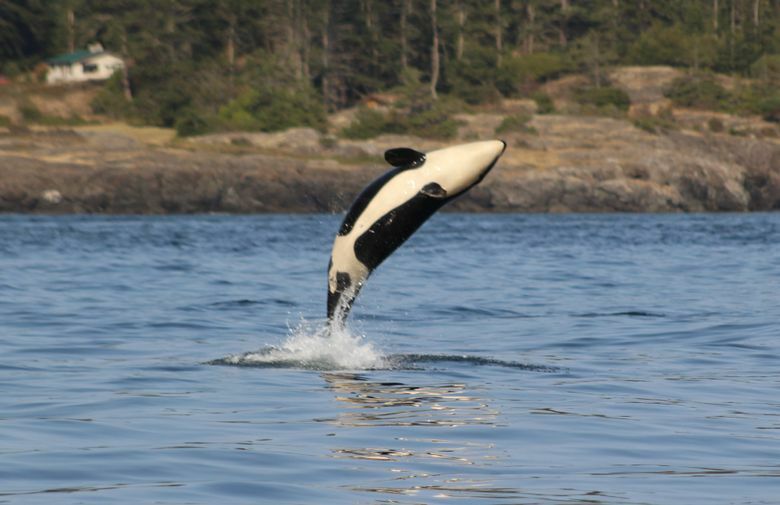 People around the world have been watching the grieving whale and her family, members of the critically endangered southern resident clan of orcas that frequent the waters of the inland Salish Sea in summer. Meanwhile researchers are also keeping watch over J50, a 4-year-old member of the same family that appears to be starving. She was the first born in a baby boom of orcas beginning in December 2014 in which 11 young eventually were born. That good news coincided with more robust salmon runs including the chinook overwhelmingly favored by the J, K and L families of southern residents. But when the salmon runs crashed, the whales did, too. By now five of the young whales from the boom have died and J50 could be next. Tahlequah’s mourning ritual has brought a pall of grief to a region and raised sharply the urgency of the whales’ plight. The whales are suffering from at least three challenges: vessel noise, which interrupts their foraging; toxins, which are released into their bloodstream and calves’ milk especially when the whales are hungry: and lack of food, especially chinook salmon. Barbara King, an expert in animal grief at the College of William and Mary said Saturday she was amazed the whale has the strength to still cling to her calf. So determined was the mother not to let go that after breaching three times Saturday afternoon she dived deep to retrieve the calf and clasp it once more. King said many don’t understand animals grieve, but she has no doubt of the mother’s sadness. As evening fell, Shedd turned from the whale, heading back to the dock for the night. Tahlequah was still carrying the calf.